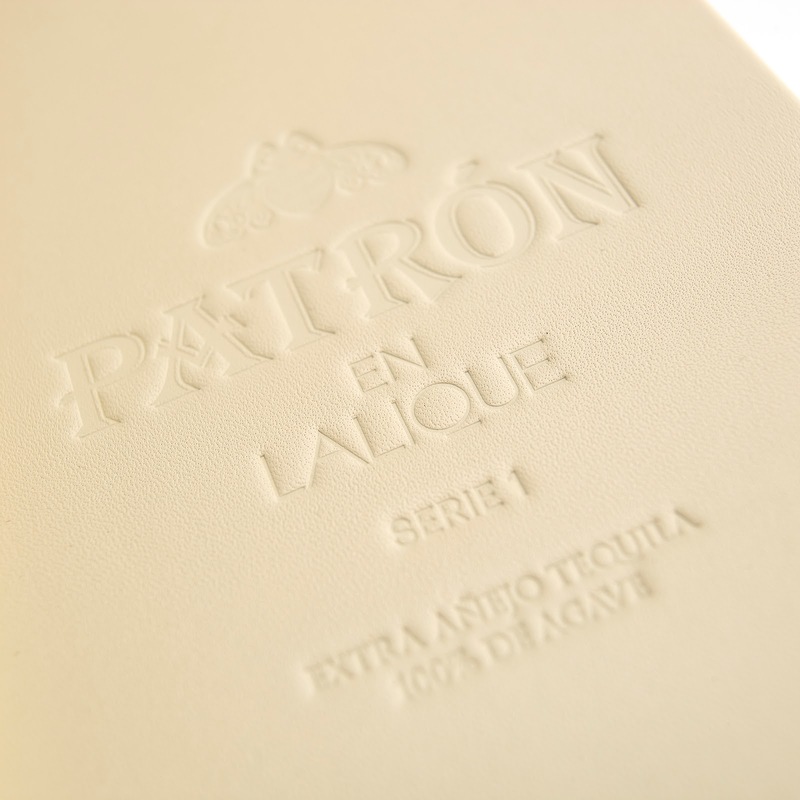 Patrón tequila is one of the world's most sophisticated spirits, and the Patrón en Lalique: Serie 1 features an impressive blend of hand-selected tequilas, aged for 4 years. 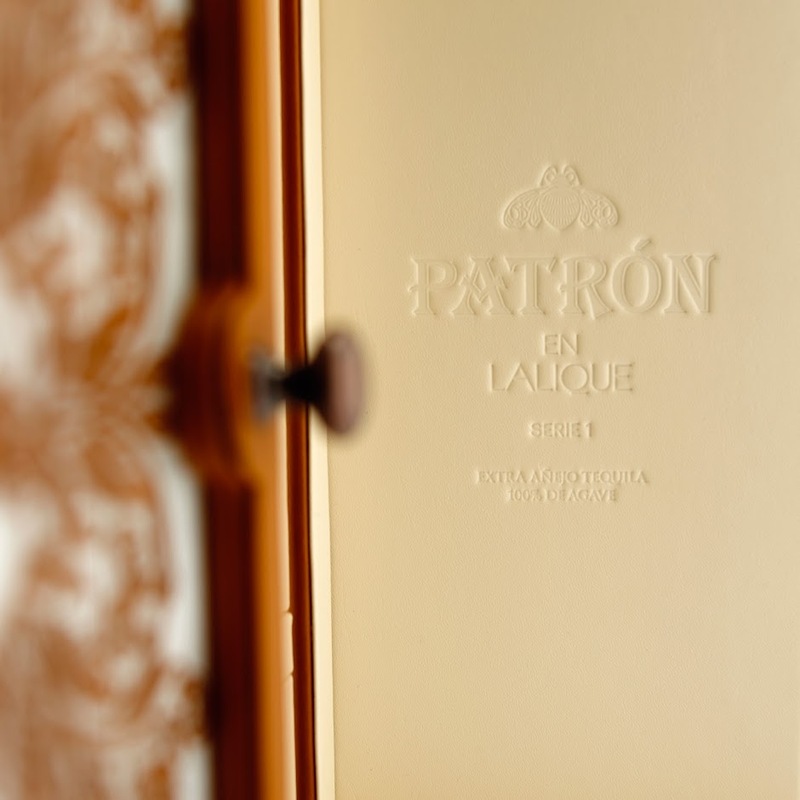 This unique spirit is bottled in a limited edition French crystal decanter, which includes a design inspired by the Mexican plant from which tequila is made. 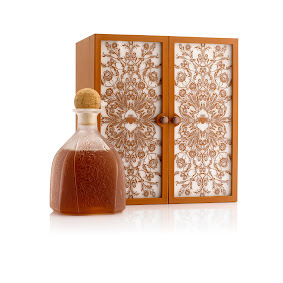 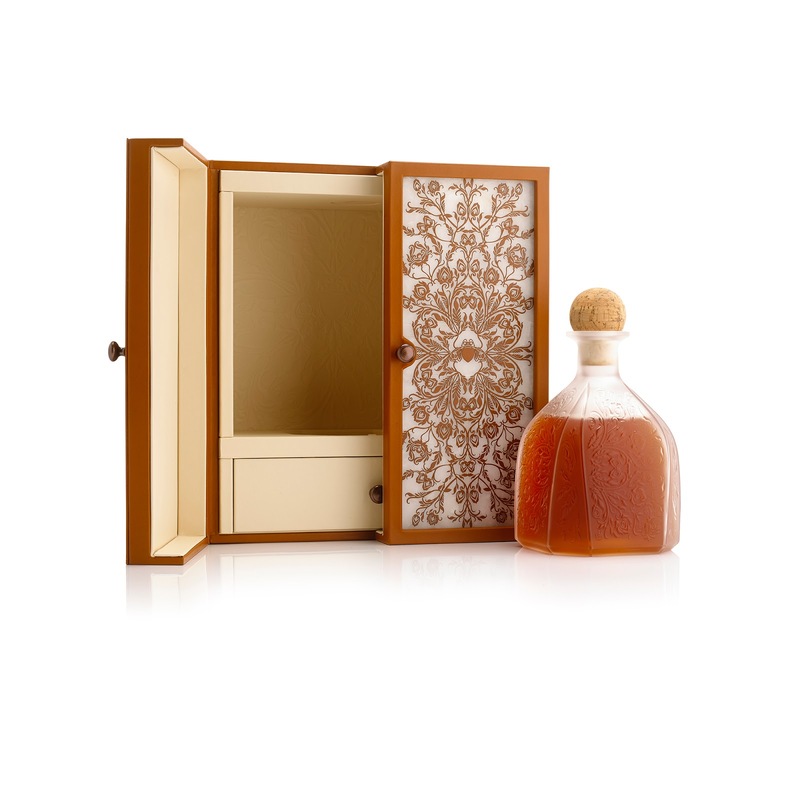 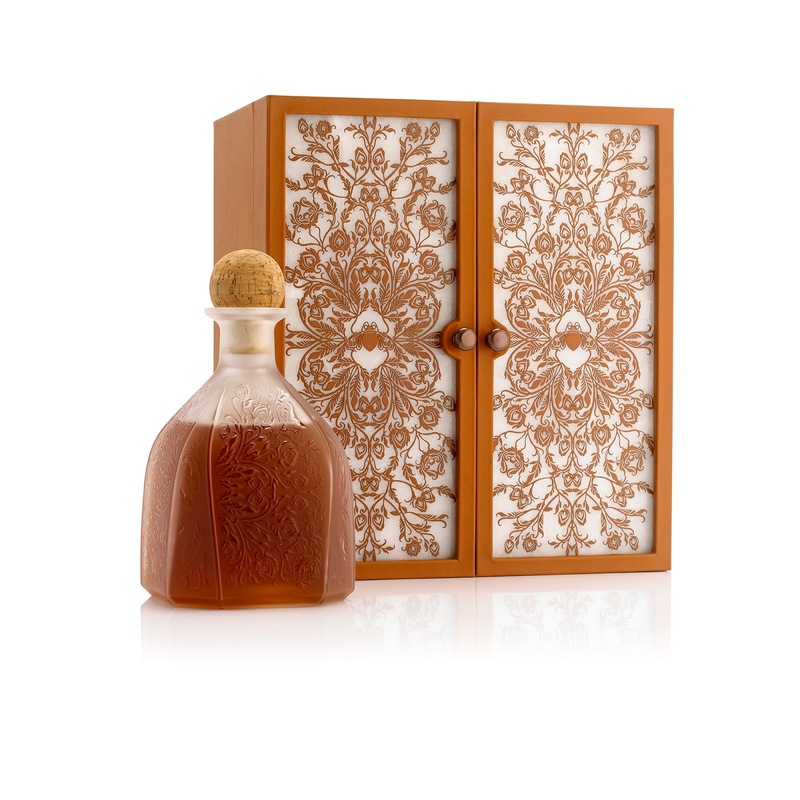 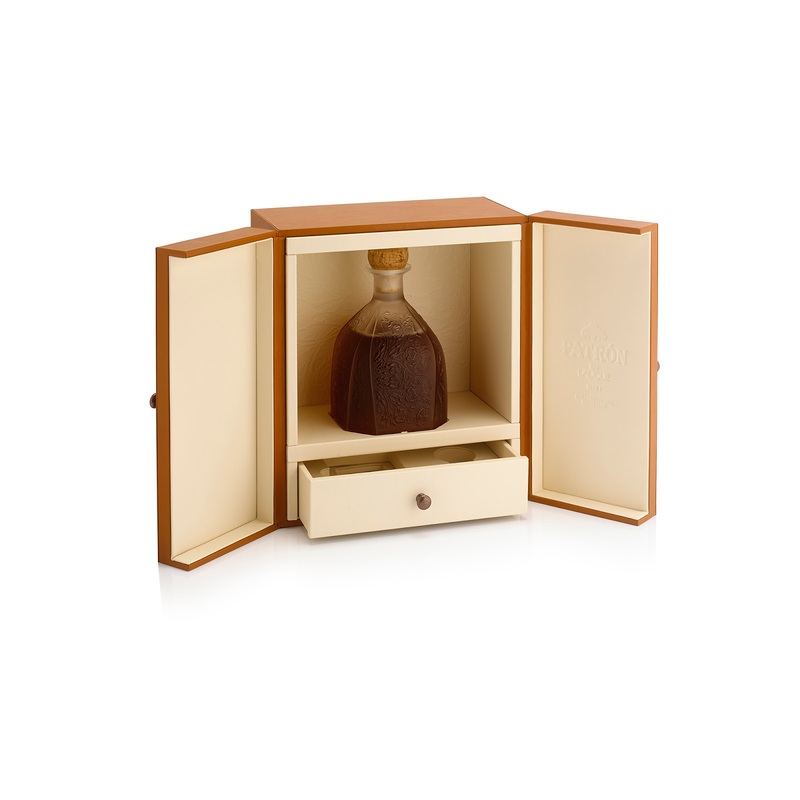 Such an exquisite product requires packaging to match, and so the decanter is presented in a wooden box, hand wrapped in high quality leather. 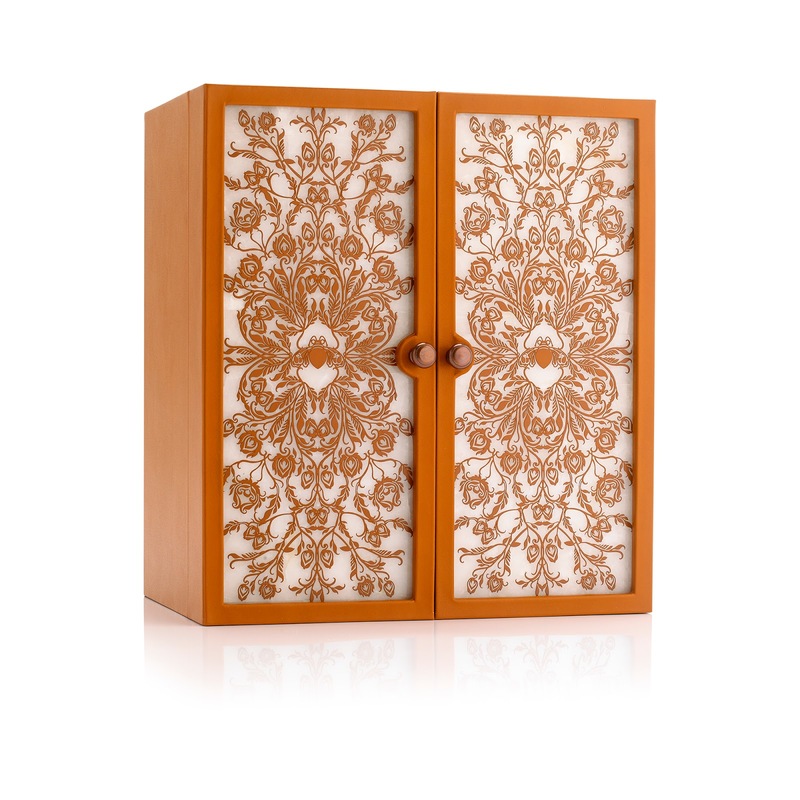 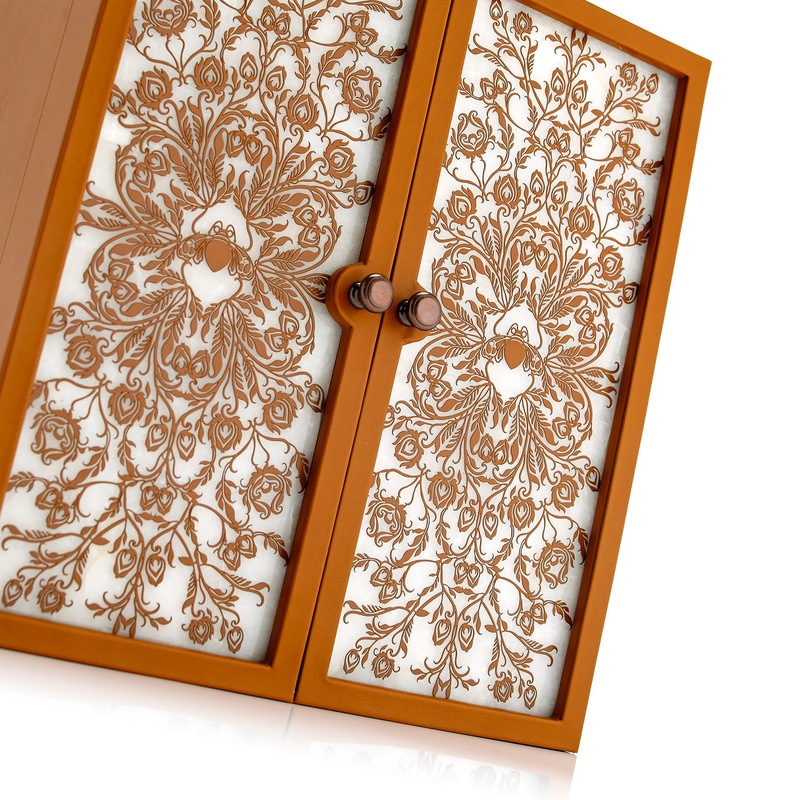 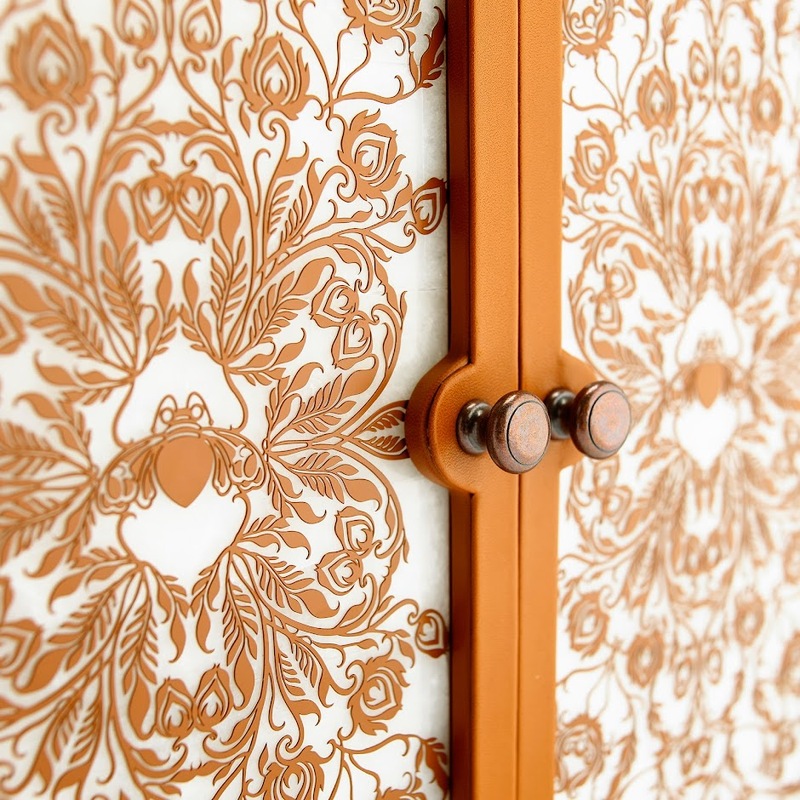 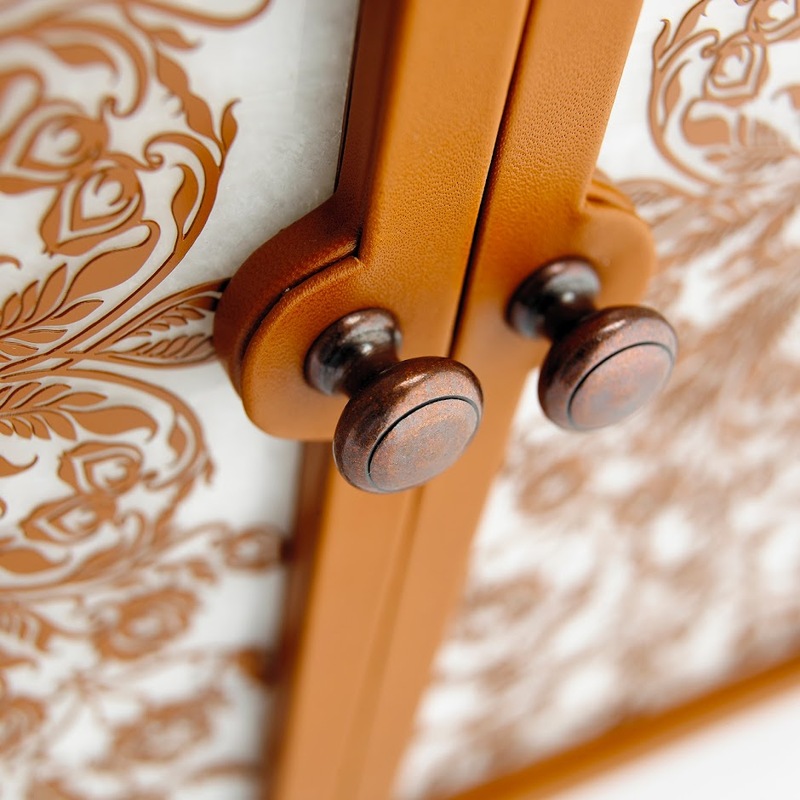 The doors of the box feature panels of moonstone overlain with an intricate metal lattice, incorporating the Patrón Bee logo; bespoke hinges and clasps give the box a truly impressive antique effect. 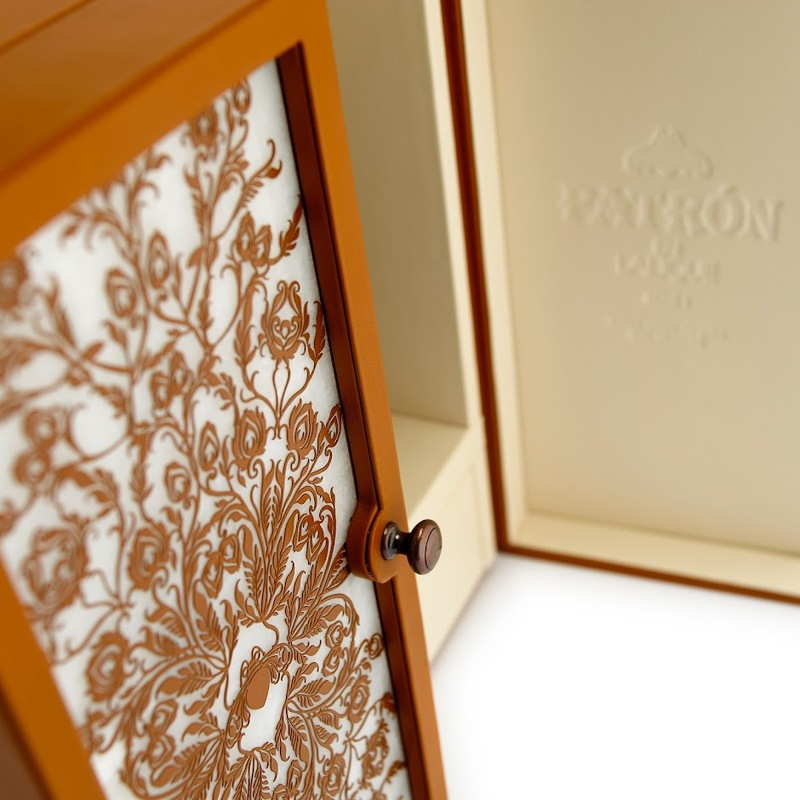 The bottle sits on a drawer which contains a decorative stopper, and a booklet telling the story of Patrón tequila. 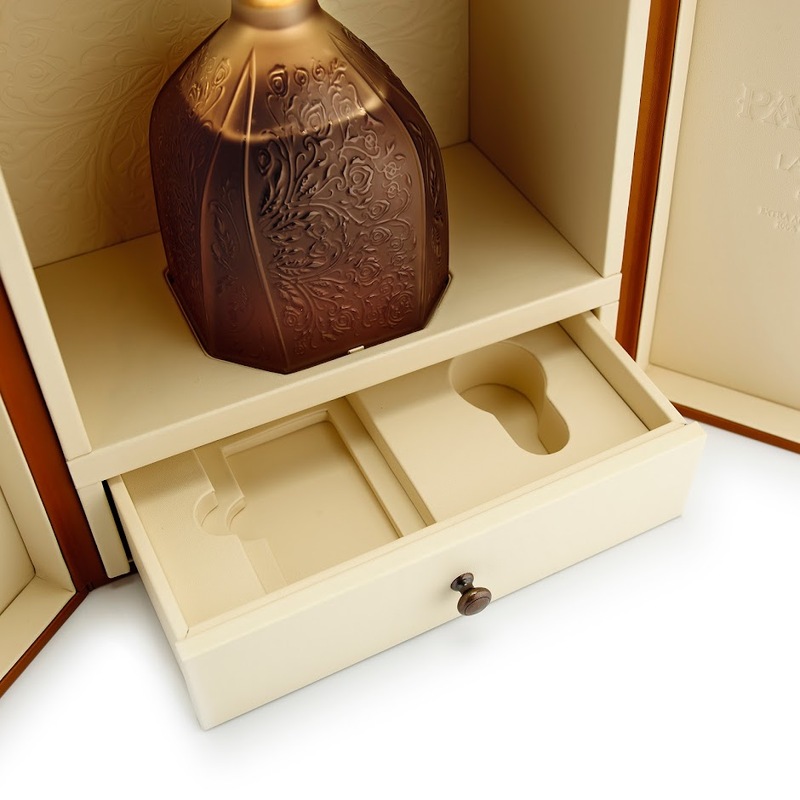 The box was designed by Viceroy Creative and produced by MW Luxury Packaging using the highest quality materials and craftsmanship.